Shopping for the lowest interest rate on your auto loan before you buy your next car puts you in a stronger negotiating position and saves you money over the life of your loan. If you already have a loan, you may be able to lower your monthly payment and save money by refinancing your car loan. Find your best interest rate by comparing multiple auto loan offers. Learn more about what you need to know before you apply below. Note: APR is used to evaluate the true cost of borrowing money and includes the interest rate. Carvana has delivered cars in 48 states to date. Free delivery available in some cities. Before you apply, use this auto loan calculator to estimate your monthly payment. It’s recommended that your car expenses not exceed 20% of your take-home pay. Once you apply, you can use the calculator to compare loan offers. Use the auto loan refinance calculator to see how much you can save by refinancing. Interest rates: The interest rate you’ll get depends on your credit score and income, the length of the loan you choose and the vehicle. If you have a loan and make consistent, on-time payments and your credit score improves, you may be able to refinance your car loan to get a better rate and lower your monthly payment. Loan terms: Some lenders offer loans for up to 84 months. However, it’s best to pay off a car loan quickly since cars depreciate rapidly. Owing more on the loan than the car is worth is called being “underwater” or “upside down,” which is a risky financial situation. Also, the best interest rates are available for shorter loan terms. 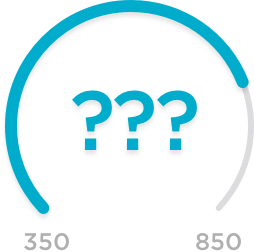 NerdWallet recommends 60 months for new cars and 36 months for used cars. “Soft” vs. “hard” credit pull: Some lenders do a “soft pull” of your credit to pre-qualify you for a loan. This doesn’t damage your credit score, but it also doesn’t guarantee you’ll be approved for a loan or get the exact rate you’re quoted. Other providers run a full credit check, which temporarily lowers your credit score by a few points. But again, your final rate could differ slightly from your preapproval quote. A hard pull will be required in all cases before a loan is finalized. Rate shopping: Applying to several lenders helps you find the most competitive interest rate. However, it can lead to your being contacted by multiple lenders, or even dealers when you apply for a purchase loan, especially if you use a service that compares offers for you (such as myAutoloan). Make all applications within a short rate-shopping window. Credit reporting agencies count multiple hard inquiries made within a certain period — usually 14, 30 or 45 days — as only one inquiry. However it’s also smart to check your credit score afterward to be sure this is the case. If you’re worried about getting overwhelmed by calls and emails, create a new email account and get a free Google Voice phone number that you can check separately. Also check the loan terms that your bank or credit union offers. Their rates can be competitive with those of online lenders. Restrictions: Some lenders only work with a network of dealerships. Others won’t lend money to buy cars from private sellers. Lenders may also exclude some makes of cars, certain models and types of vehicles, such as electric cars. Funding: Once the loan is finalized, the lender will offer you a loan with a maximum amount at a stated interest rate. For purchase loans, lenders provide the money in a variety of ways: a no-obligation check, direct deposit to your bank account or a certificate to be used at a car dealership. For auto refinance loans, the lender typically pays off your old lender and you begin making payments to the new lender. Preapproval streamlines the negotiation process because you can sidestep the car salesman’s favorite tactic: the monthly payment game. If you negotiate based on a monthly payment, it’s easy to lose sight of the real price of the car. But when you’re preapproved, you become a “cash buyer.” That means you can concentrate on negotiating only the price when shopping for a new car, rather than mentally juggling several figures. Negotiate the best deal for the car, and leave enough money to cover taxes and fees. For example, if you’re approved for up to $20,000, look for a car in the $15,000 range because the final price will be about $16,500 or higher. At a dealership the finance manager may try to beat the interest rate of your preapproved loan. If the interest rate is lower, and all other terms are the same, take the loan. But look at the contract carefully before signing, because there is a risk the finance manager could juggle the numbers in the dealership’s favor. When you refinance your auto loan, you replace your current loan with a new one from another lender. If you get a lower interest rate, and keep the length of loan the same as (or shorter than) remaining term on your current loan, you’ll save money on interest over the life of your loan. If you extend your loan, you may be able to lower your monthly payment — even if you don’t qualify for a lower rate — but you might actually pay more in interest overall. Generally the new loan amount will be the balance left on your current loan. However, some lenders do allow you to take cash out when you refinance. Since there often isn’t much equity in a car loan, taking cash out could increase your risk of becoming upside-down on your loan — owing more than your car is worth. So, it’s really best not to take cash out unless you made a large down payment and suddenly need money for an emergency. Learn more about how to refinance your auto loan. Your credit has improved. When you bought your car, maybe your credit history wasn’t great. But now, if you’ve been making consistent, on-time payments, your credit has probably improved and you may qualify for a lower interest rate. This will reduce your monthly payment and save you money in interest over the life of the loan. You can check your credit score for free here. A dealer marked up your interest rate. When you got your existing loan, the car dealer might have charged you a higher interest rate than you could have qualified for elsewhere. This often happens to shoppers who didn’t check their credit score or what rate they might qualify for before buying a car. There’s a good chance you can undo the damage by refinancing and getting a new loan with a lower interest rate. You can’t keep up with payments. You may have bought too much car, or overestimated your ability to pay off your current auto loan. Or maybe you’re suddenly facing unexpected financial challenges. By refinancing, you can extend the length of the loan, which will lower your payments. But don’t take this step lightly. If you extend the term of the loan, you’ll pay more in interest. However, it’s better than damaging your credit by missing payments or facing repossession. Interest rates drop. Interest rates fall for a variety of reasons: a changing economic climate, increased competition in the marketplace and regulatory changes. If rates are lower now than when you first got a car loan, refinancing could help you pay off your loan sooner or save you money on interest. Learn more about whether auto loan refinancing is right for you. Source for credit range information in calculator: State of the Automotive Finance Market, Experian Information Solutions, Inc.